Nazi killing is tough business. Here are some tips for Wolfenstein 2: The New Colossus. In Wolfenstein 2: The New Colossus, William “B.J.” Blazkowicz is once again up against near impossible odds taking on the Nazi regime. As the player controlling him, understanding some of the basic concepts and game mechanics is crucial to your success. Study these Wolfenstein 2: The New Colossus tips to blast your way through to an American victory. 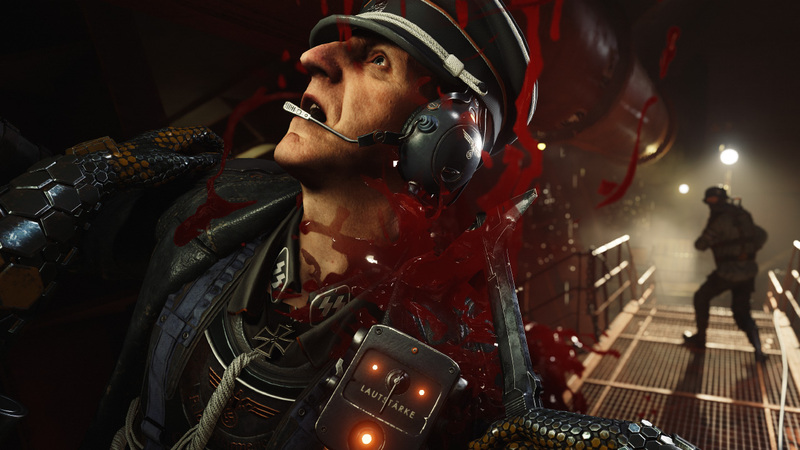 One of the best tips you can get for Wolfenstein 2: The New Colossus is to seek out and eliminate any Kommandant you find in each of the mission areas. While a Kommandant doesn’t pose a big threat on their own, they can call for reinforcements if they detect you. By taking them out, you ensure that you won’t have as many foes to cut down as you make your way along the path. There’s another reason to kill any Kommandant you find, though. These enemies will drop an Enigma Code when you kill them. These codes are then used to with the Enigma Machine to unlock secret missions in Wolfenstein 2 called the Uberkommandant. These secret quests have you tracking down and killing high ranking Nazi scum, which is reason enough to participate in them. As you make your way through the levels, take some time to explore each one. Wolfenstein 2: The New Colossus has more than 200 collectibles to find. Some of them are going to add to the game’s lore, and others are funky and fun. Either way, this game is about enjoying the ride and taking your time to look around. That’s one of the best tips I can give you; don’t be in such a rush. In Wolfenstein 2: The New Colossus, exploring the world and discovering its secrets is one of the most rewarding things you can do. This is made easier when you have a map. Unfortunately, this isn’t given to you by default. You’re going to have to find it on your own. Be sure that you’re scouring each area that you visit for its map, and then studying the map to find secret passages and items of interest that you might have otherwise overlooked. There is almost always a path besides the one staring you in the face. One of the best tips I can give you before you dive into Wolfenstein 2: The New Colossus, is to study the Perks available to you. In total there are 18 Perks in the game, and these fall under the Stealth, Mayhem, and Tactical categories. Each Perk also has five levels, with each level requiring specific criteria to be met so you can unlock its rewards. For example, 10 stealth takedowns in Wolfenstein 2 will unlock 10 percent faster movement speed when crouched. Each additional 10 will give you 10 percent faster movement speed when crouched, topping up at 50 percent. Study the Perks and focus on unlocking those that suit your play style. Further into the game you’ll come across three Contraptions, each offering several abilities. You can only choose one and, like Perks, these Contraptions fall into the Stealth, Mayhem, and Tactical categories. They can enhance your play style drastically, so choose wisely. If you’re a stealth player, the Constrictor Harness is designed to enhance your stealth gameplay. Be sure to read our guide to learn more about Contraptions and their abilities when you’re done with our Wolfenstein 2: The New Colossus tips. One of the reoccurring tips in this article is to explore, but that point can’t be stressed enough. In this case, it’s Weapon Upgrades that you want to keep an eye out for. For example, you will come to love the Pistole if you’re a stealth player, but it’s near useless if you don’t have the Silencer Upgrade for it. After you clear a room, take a good look around to make sure you’re not leaving something of value behind. These tips were designed to get your head in the right place before you begin, but there’s a lot more depth to William “B.J.” Blazkowicz’s journey. Be sure to visit the Shacknews Wolfenstein 2: The New Colossus walkthrough and guide.